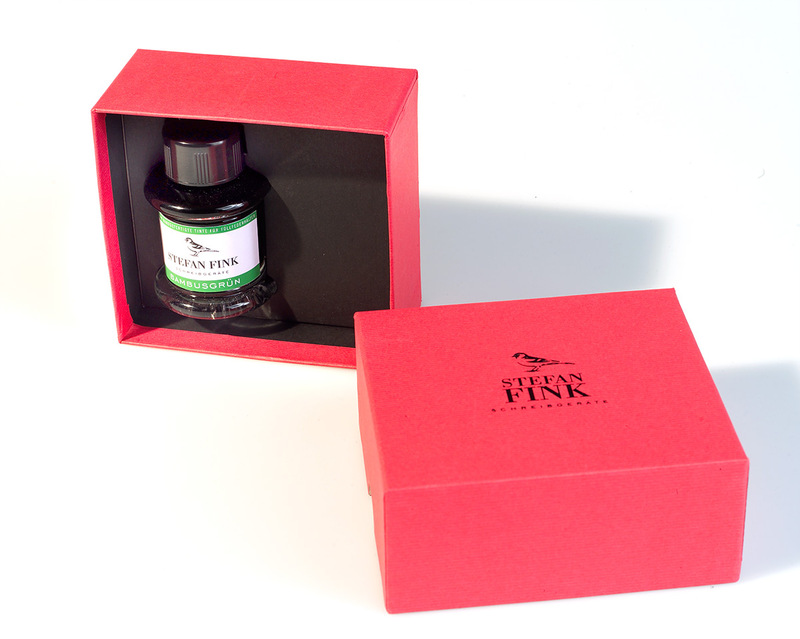 The perfect writing pleasure requires the right ink. 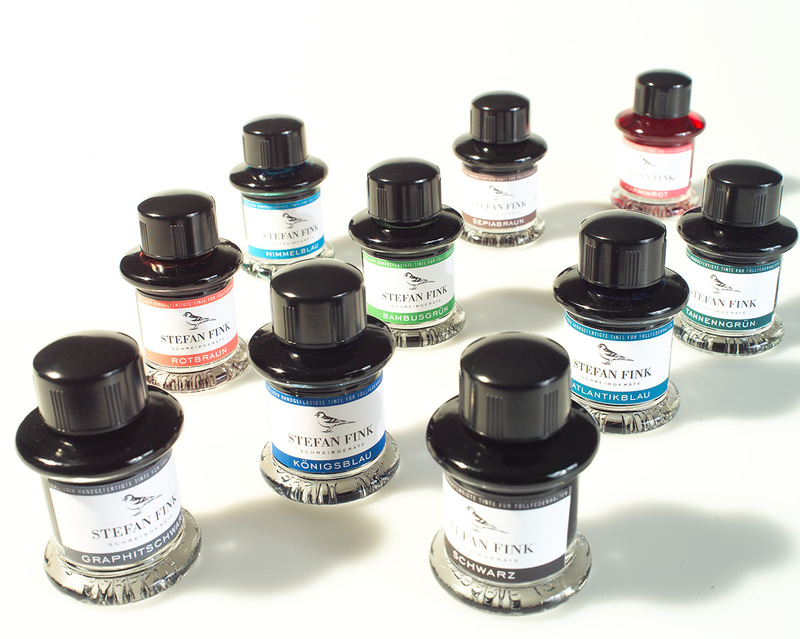 Stefan Fink's premium inks are without exception manufactured in Germany. They are made with exceptionally clear pigments with a low salt content, free from alcohol or glycol ether, and they are highly concentrated and photostable. Fink's ink is available in the following colours: royal blue, sapphire, turquoise, bamboo green, red brown, sepia brown, purple violet, fuchsia, red orange, golden yellow, graphite black, and black. 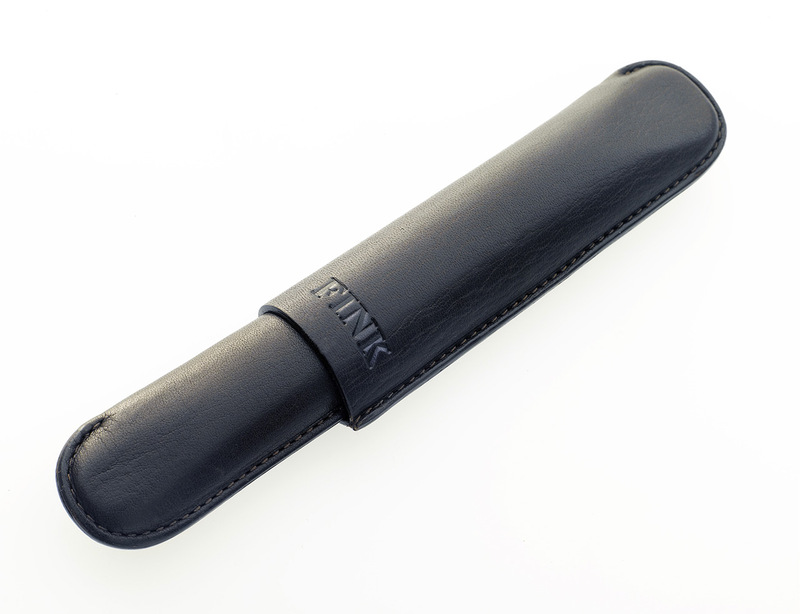 All of Fink's writing utensils are delivered with an ink flask with your colour of choice. 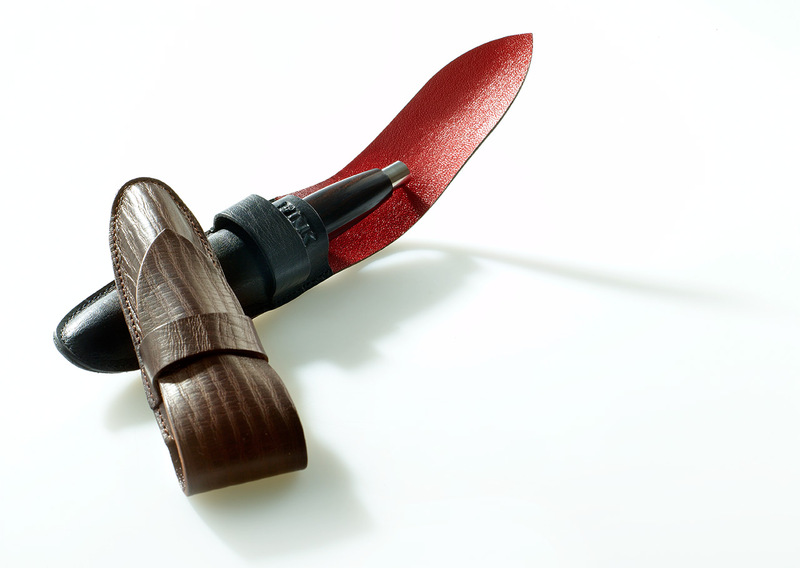 Included in the price is furthermore a handmade case made from fulled, vegetable-tanned leather. 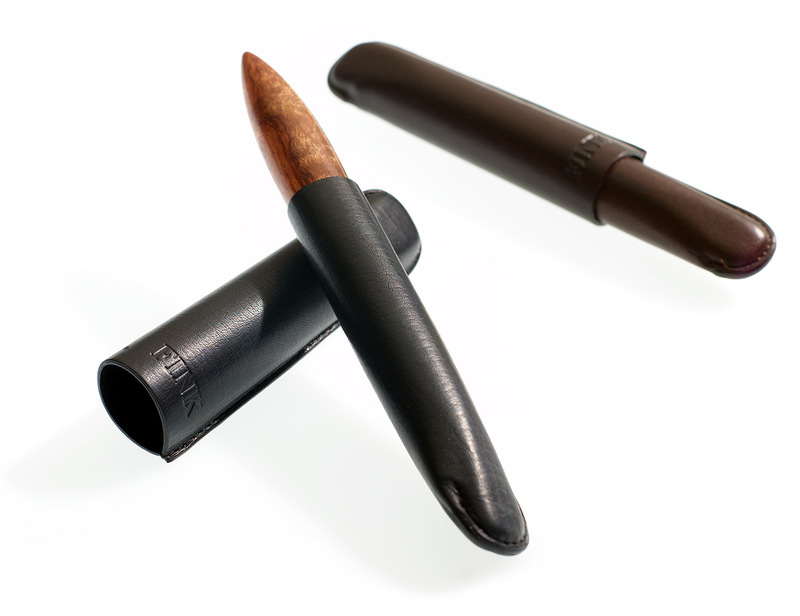 Fountain pens come in a black or espresso-brown case with a red or black goat leather lining (espresso brown has a brown lining). 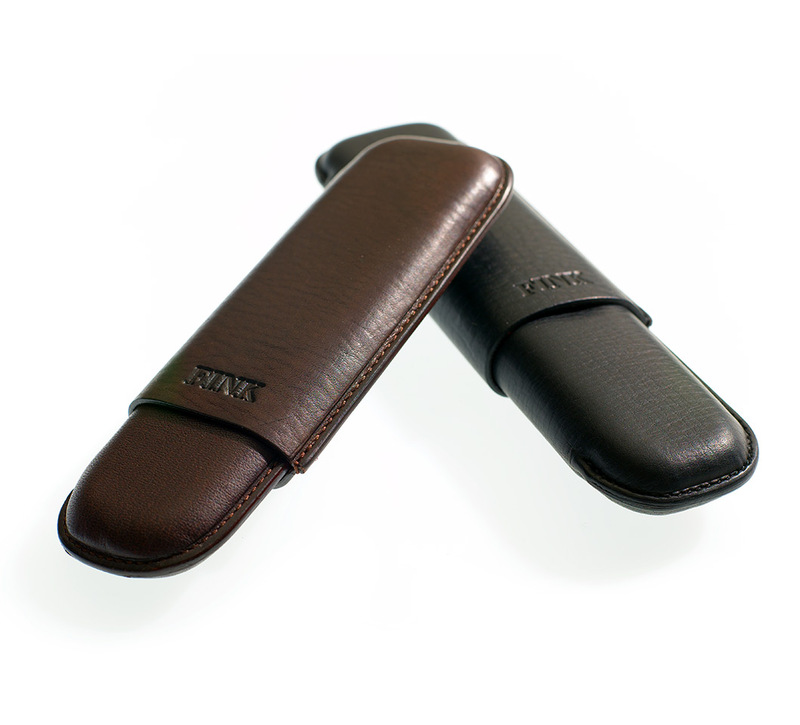 An option is a double pocket case. 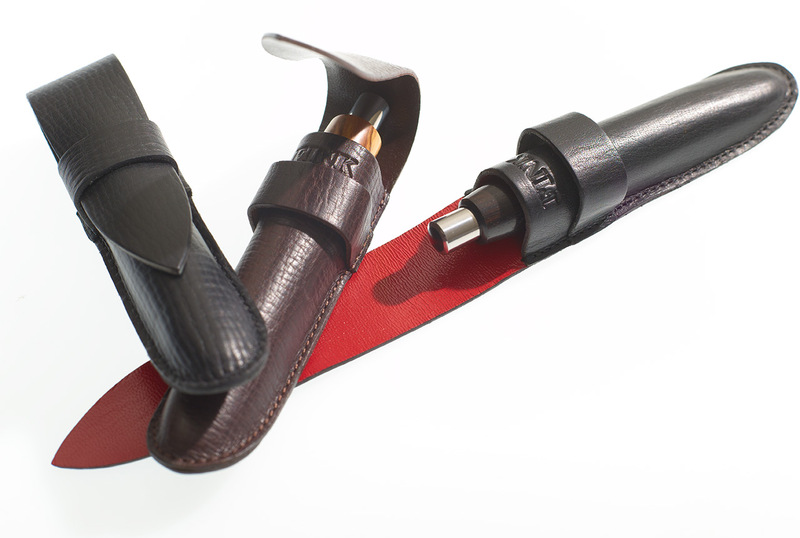 You will receive rollerballs and draft pens in a black or espresso brown flap case with red or brown lining. A gift box as well as a information booklet are also included. 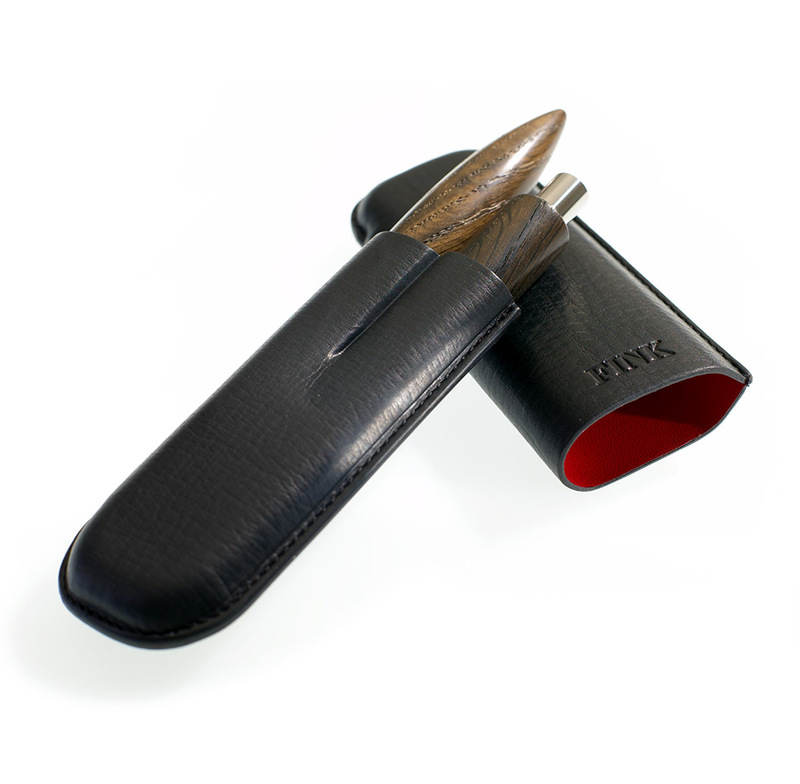 Fink nibs, Stefan Fink's ink and leather cases can be ordered at any time, or be obtained in his workshop in Hamburg. The leads and refills for all writing utensil are standard and therefore available at Stefan Fink's workshop or in all good stationery stores. Any questions on these accesories, the ink or about a restock of your supplies? Please consult Stefan Fink. On the phone, +49 40 247151, via E-Mail or in person in Stefan Fink's workshop.